Just a few films old, Alia Bhatt, has become the heartthrob of many men, not only in India but also abroad. Alia has come a long way since her debut film ‘Student of the Year’. She has been maintaining a scintillating figure all these years without fail. 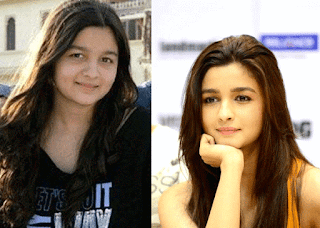 But, do you know that Alia Bhatt used to be an obese girl before her foray into the films? Yes, she used to be a chubby girl in her teenage with 68 kgs of weight. Not many think that this is overweight, but think of it from the height to weight perspective and you’ll believe that she is actually overweight. Extras: Read the exciting stories of few other Bollywood Celebrities who’ve successfully transformed themselves from Fat to Fit with just diet and exercise – Sonakshi Sinha, Adnan Sami, Sonam Kapoor, Arjun Kapoor, Anant Ambani, Bhumi Pednekar, and Parineeti Chopra. What Motivated Alia Bhatt to Lose Weight? Alia Bhatt’s is overweight by nearly 20 kgs and it is too much for her height (5 feet 3 inches). She always dreamed of becoming an actress when she grows up, thanks to his inspiring director-father Mahesh Bhatt. At the age of 19, Karan Johar has offered her a role in the movie ‘Student of the Year’ opposite Siddharth Malhotra and Varun Dhawan (both are debutantes). While auditioning her, Karan has suggested her to lose weight if she wanted to get featured in his film. Alia went into a shock when she heard it from a top director. But, she came to senses and decided to prove her potential as a strong women. 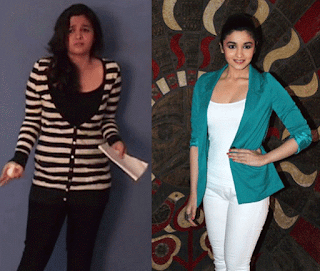 How Did Alia Bhatt Lose Weight in Just 6 Months? With a combination of a healthy low calorie diet and workout routine, Alia has lost 16 kgs in the first 3 months, looking just the way Karan Johar wanted her to be. And, finally, she got finalized for the role of ‘Shanaya Singhania’, a hot and young college girl. She said in an interview that, being a self-confessed fan of Kareena Kapoor, I took an inspiration from her to lose weight and achieve curves. Let us look into the actual diet plan that helped Alia Bhatt to lose 16 kgs in 3 months span. Diet played a major role in her weight loss journey. As experts suggest, if you want to lose weight successfully, then you’ll need to follow a combination of 80% diet and 20% exercise. 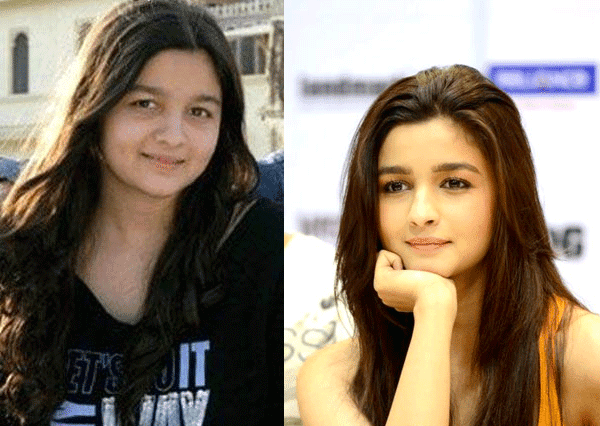 Here are some changes Alia made to her diet in order to lose the excess pounds. Breakfast: Alia starts her day with a glass of fresh vegetable juice or sometimes a bowl of Poha or an Egg white or Vegetable Sandwich followed by a cup of herbal tea/coffee without sugar. Lunch: 1 Roti without butter, a cup of Indian Dal Soup, lots of Vegetables and Curd. 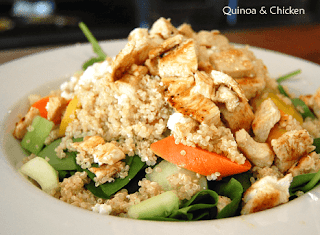 On alternative days, she replaces the vegetarian meal plan with Quinoa and Chicken. Evening Snack: A fruit or 1 Idli with Sambhar and Sugar-free Coffee or Tea. Dinner: This is mostly the same as the lunch. Alia prefers 1 Roti without butter or a bowl of rice along with Dal and vegetables. In addition to this menu, she also eats 1 grilled chicken breast (for extra protein). Before Bed: She prefers to have a glass of milk before going to bed and also makes sure she eats her last meal of the day at least 2 hours before getting on the bed. Moderation is the key to any weight loss goal. Avoid soft drinks, sugar and white rice completely. They contain nothing but calories. Eat a balanced combination of proteins (50%), carbs (30%) and fats (20%). Healthy carbs and fat are a must for optimal health and hence you should not avoid them. The problem shows up only when you have them in excess. Have lots of vegetables in your diet. If you can’t have them raw, try to prepare a vegetable juice along with some fruits in them (for taste) or simply make a vegetable soup. Keep small goals and give yourself a treat with your favorite food (desserts, cheese pizza etc… in moderation)when you achieve them. This motivates you to continue your journey. Don’t neglect exercise. Although, may not direct help you lose weight, exercise makes your skin tight after losing weight. Finally, drink lots of water every day. The more water you drink, the more toxins will be flushed out from your body, making you lose that water weight along. Try to aim for at least 3 to 4 liters per day. Alia makes sure to hit the gym 3 to 4 times a week, where she practices cardio workouts such as running, cycling, swimming, dancing and kickboxing. She also does Yoga as it helps in building flexibility to her body, which is vital for her acting too. 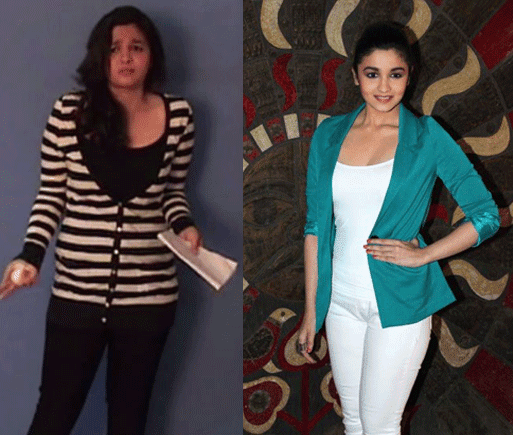 Here is a detailed day wise workout routine that helped Alia Bhatt to lose weight effectively. Well, this is the sample workout routine that Alia Bhatt has followed to the core in order to lose weight and stay fit. She achieved the 20 kg weight loss in 6 months with just healthy diet and exercise. BTW, she also loves dancing, particularly Kathak and Ballet, which she practices whenever she has free time. 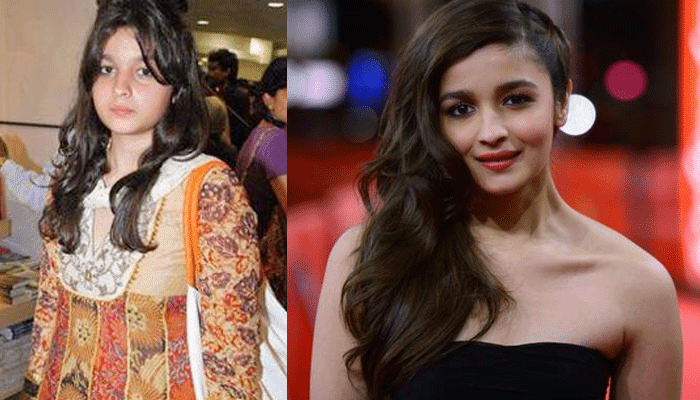 Here is how Alia looked before becoming an actor and her after transformation pictures. There is no doubt in saying that Alia Bhatt has stood as an inspiration to many who’re trying to get into shape. She proved that anything is possible if you’ve the dedication and can make it big in your career.